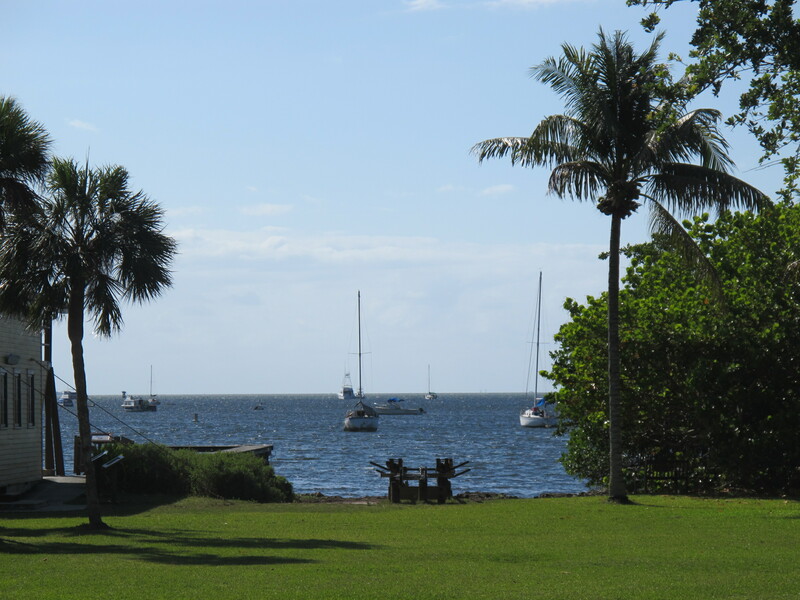 If Miami had an old town, it would be Coconut Grove, its oldest continuously inhabited neighborhood. 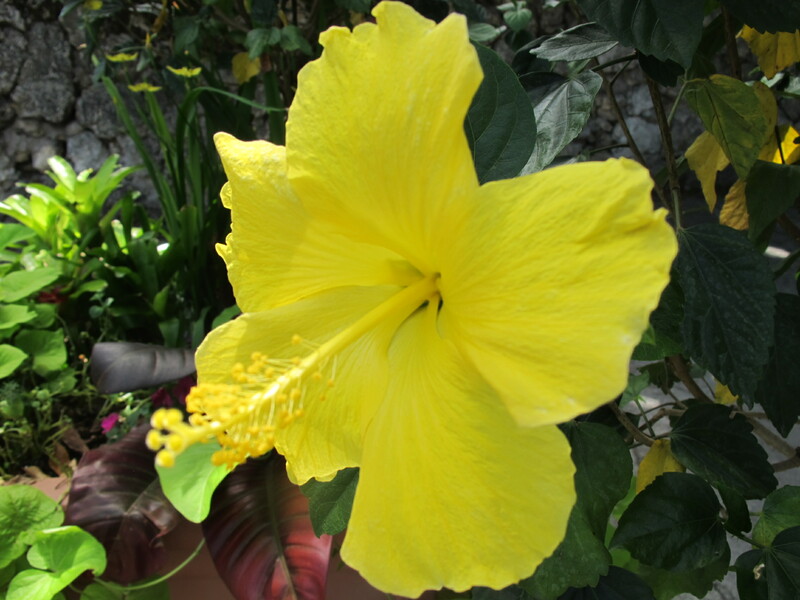 It was originally settled in late 1800s and annexed by Miami in 1925. 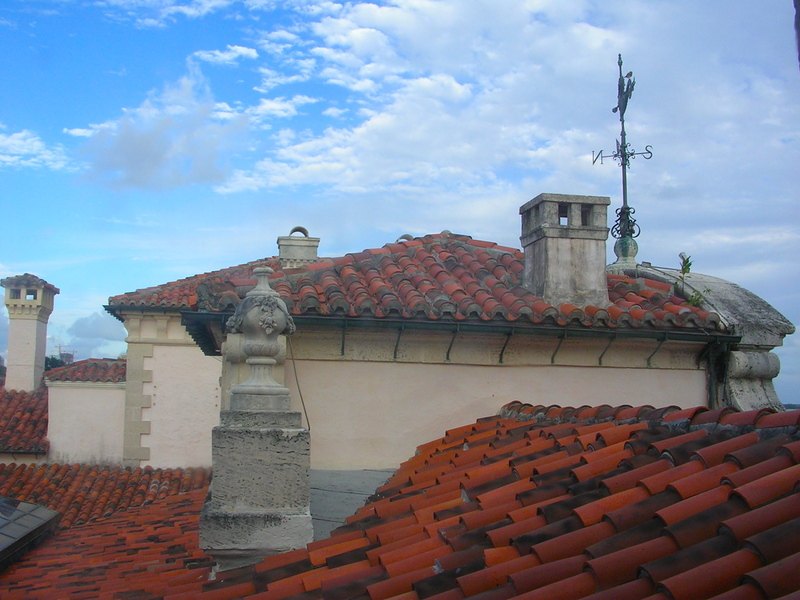 And even though little of the frontier character remains, Coconut Grove still has its unique village-like feel (if you can tune out high rise hotels). Fortunately, it’s easy to find places where the past comes alive. 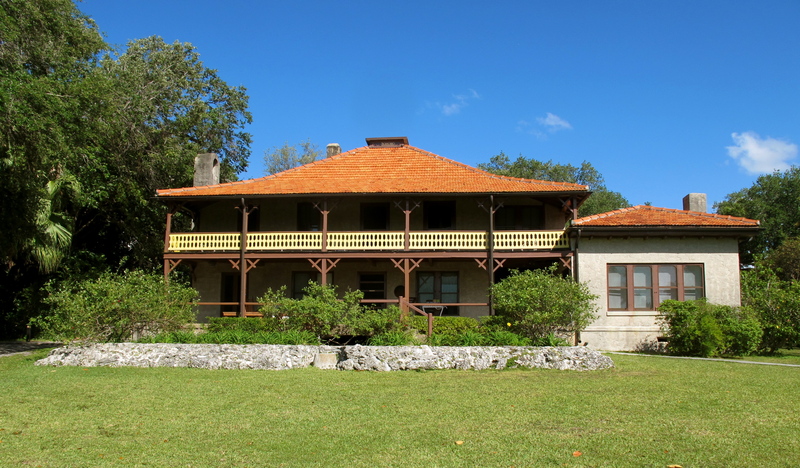 One of them is the Barnacle Historic State Park with the oldest house in Miami still in its original location having survived several murderous hurricanes. 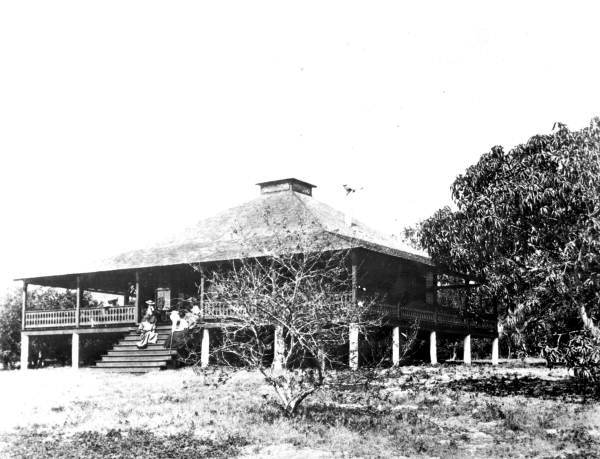 Just like a barnacle clinging to a sea rock, the house has stuck to the edge of the Biscayne Bay since 1891. It was built by Ralph Middleton Munroe, originally from New York, who bought bayfront property among the wilderness of Florida hammock (tropical hardwood forest) for… $400. Ok, it was quite a bit of money back then! The Barnacle is hidden away behind the remaining sliver of dense, lush greenery that once ruled this area. 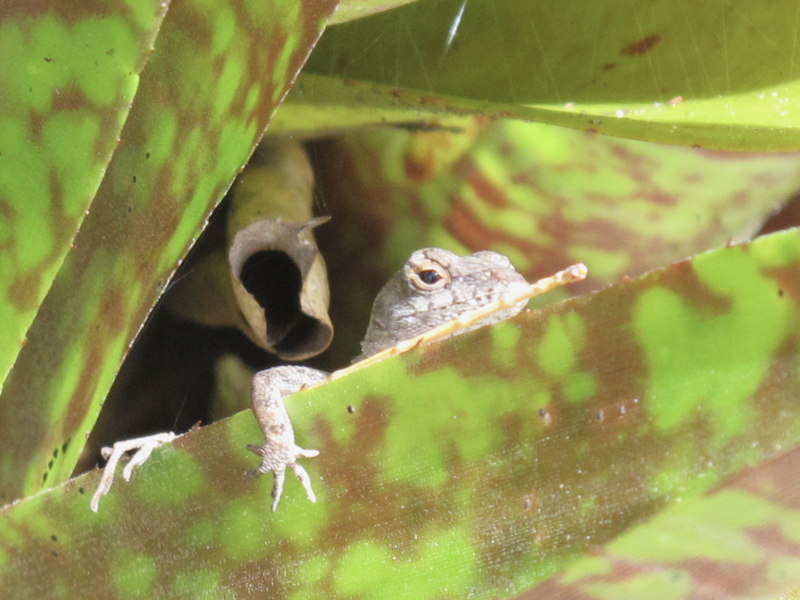 Birds sing in the trees, tiny lizards rustle in the underbrush, and the green canopy above lends much-appreciated shade. The house is overlooking the bay and, curiously, used to be a single-story structure before Ralph Munroe raised it to add the first floor beneath when his family needed more space. He built it largely from shipwreck timber collected at the beach and the house itself displays several artifacts that Munroe gathered from unlucky vessels over the years. A short walk from the Barnacle along Main Highway is historic Plymouth Congregational Church (3429 Devon Road). 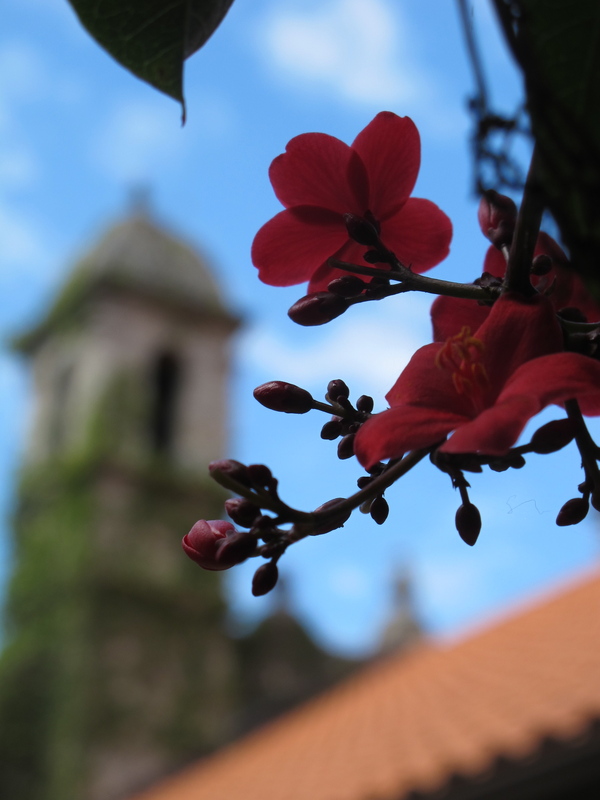 It dates back to 1917 but looks much older given that its architecture, with beautiful twin bell towers and characteristic center gable, was inspired by old Spanish missions of Mexico. 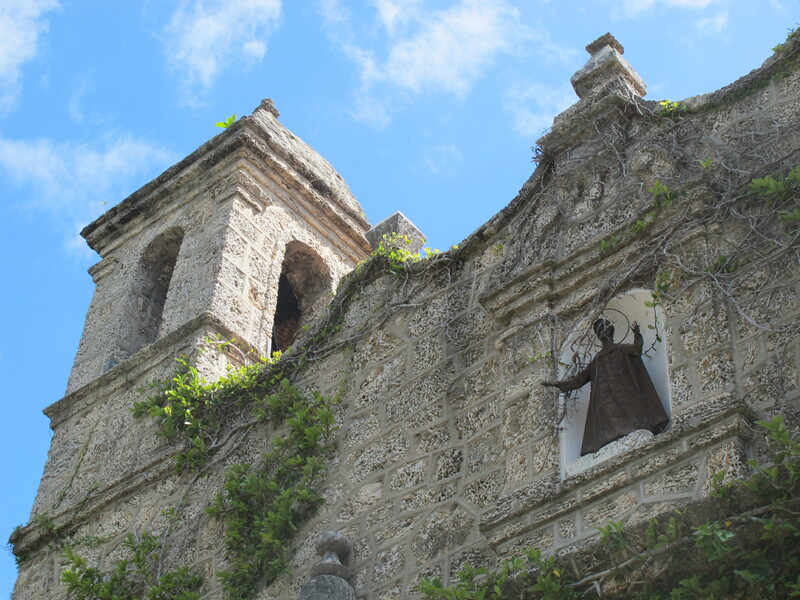 The church was built from local limestone by a single man, Spanish master stonemason Felix Rebom, using only primitive tools: a hatchet, a trowel, a plumb line, and a T-square. 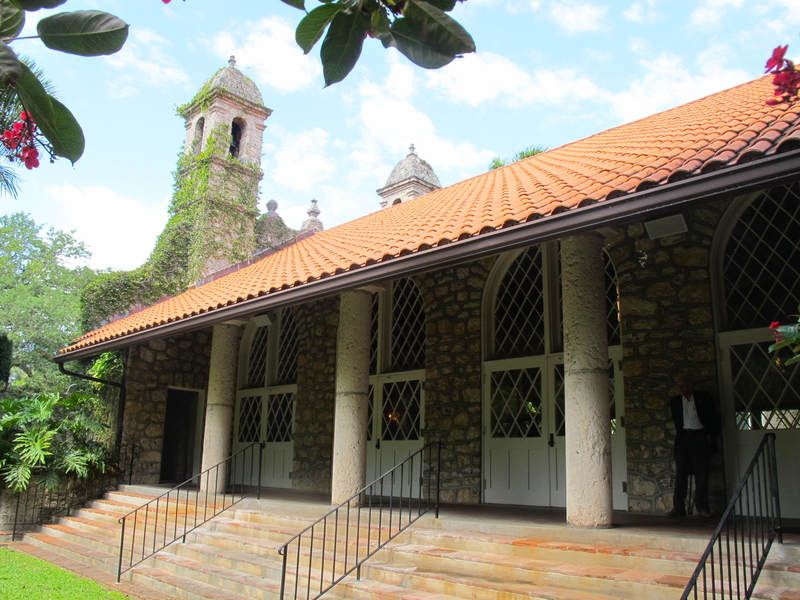 In 1918, stone pillars were added to the side porches, ordered and partially funded by James Deering who was the owner of the nearby Villa Vizcaya (more on him and Vizcaya in a moment). The view from the porch was one of my favorites of this church – pastel white limestone against slightly hazy blue sky make it look like a watercolor painting. 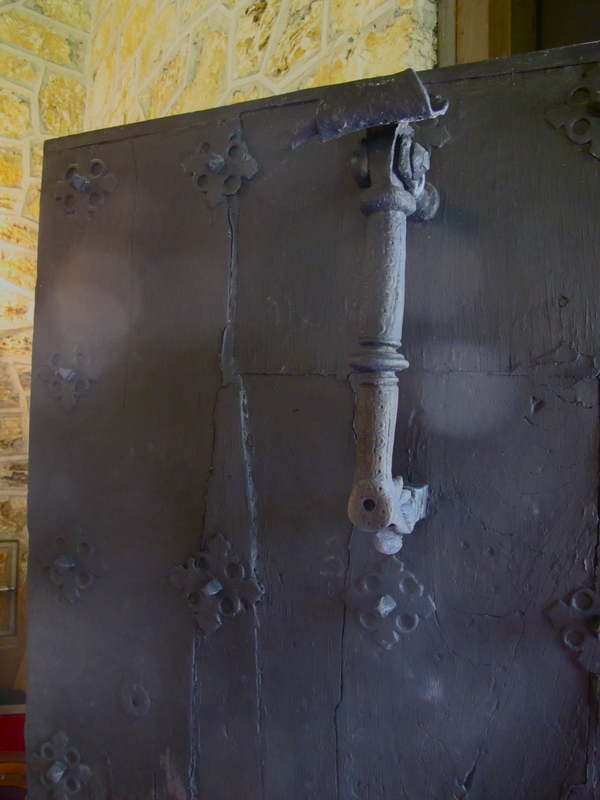 Eleven years later, Rebom purchased a 400-year-old solid walnut door from a monastery in the Pyrenees to serve as the entrance to the sanctuary. The door is really impressive and definitely adds to the centuries-old vibe of this relatively new structure. 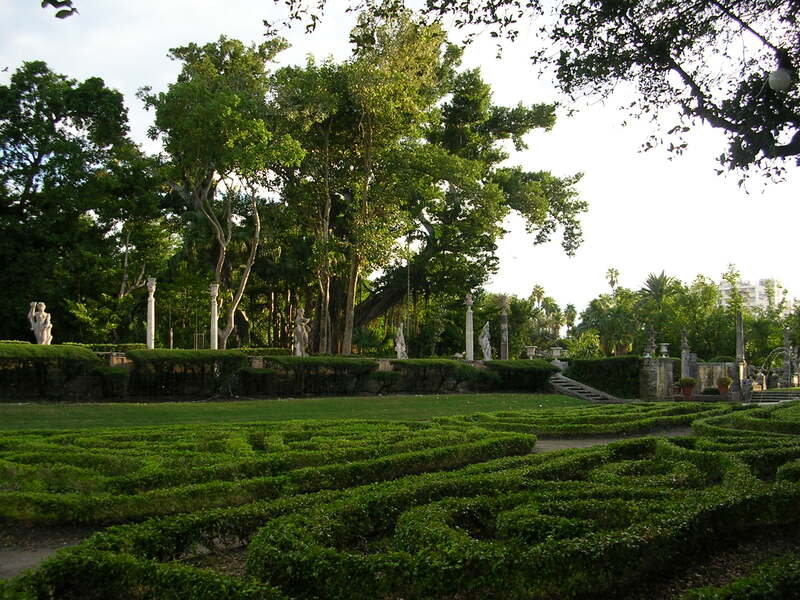 On to Vizcaya, which is one of the most beautiful and someone unreal places I’ve been to and certainly the jewel of Coconut Grove. 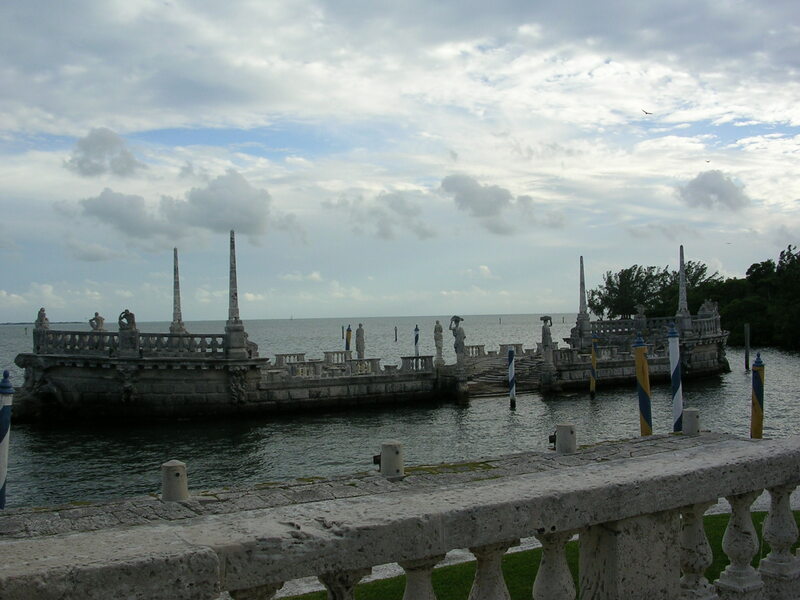 Vizcaya is Spanish for Biscay, a Basque province in Spain and the namesake of Miami’s bay. 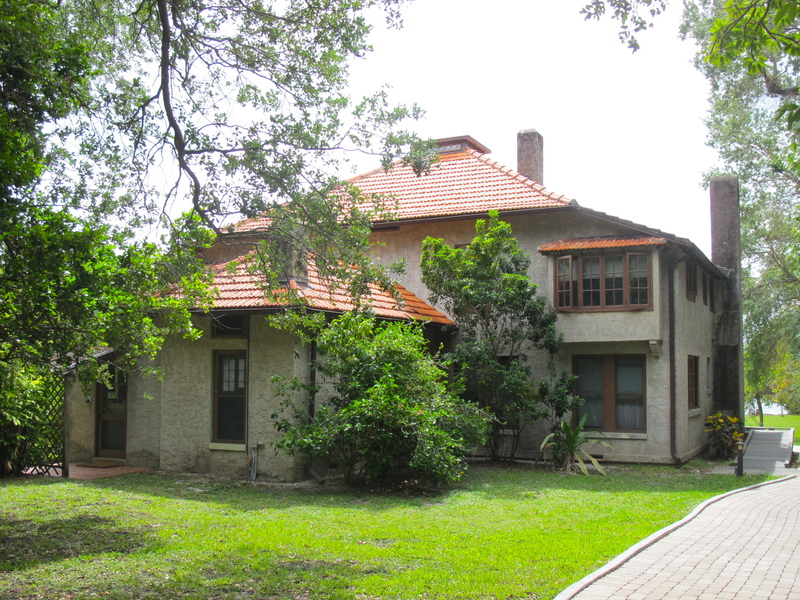 Built between 1914 and 1922 by James Deering, industrial magnate who made his fortune in agricultural machinery, this ambitious architectural and landscape undertaking provided employment to one-tentch of Miami’s population at the time: 1,000 out of 10,000 people. Serious job creation! 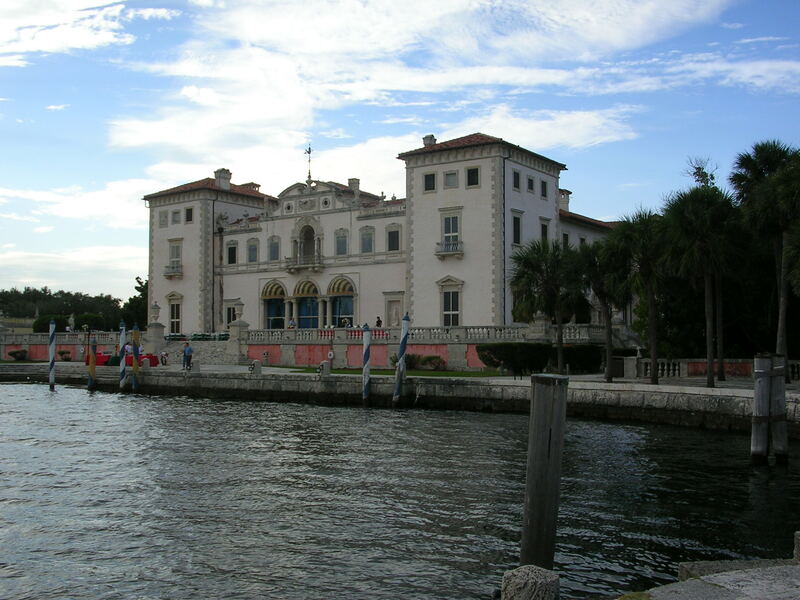 Vizcaya was Deering’s winter residence until his death in 1925. This unbelievably elaborate Italian Renaissance villa and surrounding gardens seem transported in time from an estate of a Tuscan prince to the tropical shores of Biscayne Bay. 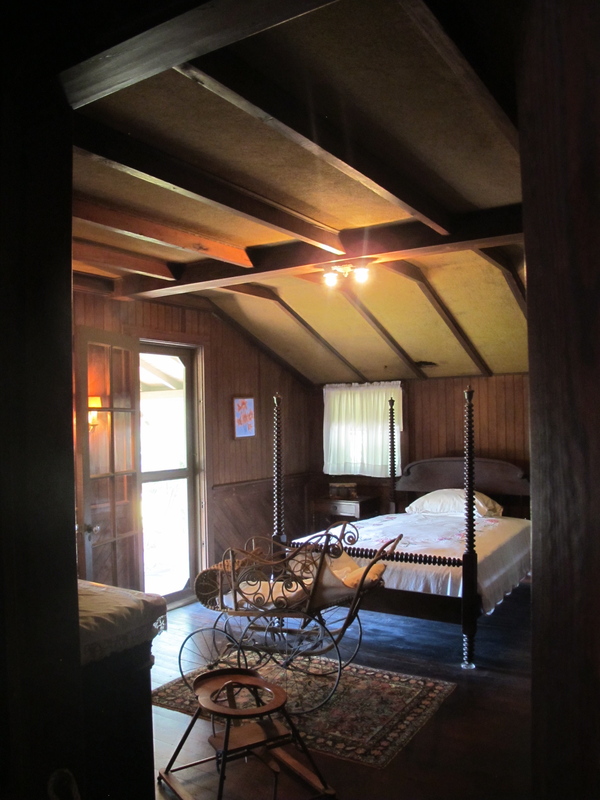 The house has 34 rooms painstakingly decorated with antique furniture and art. 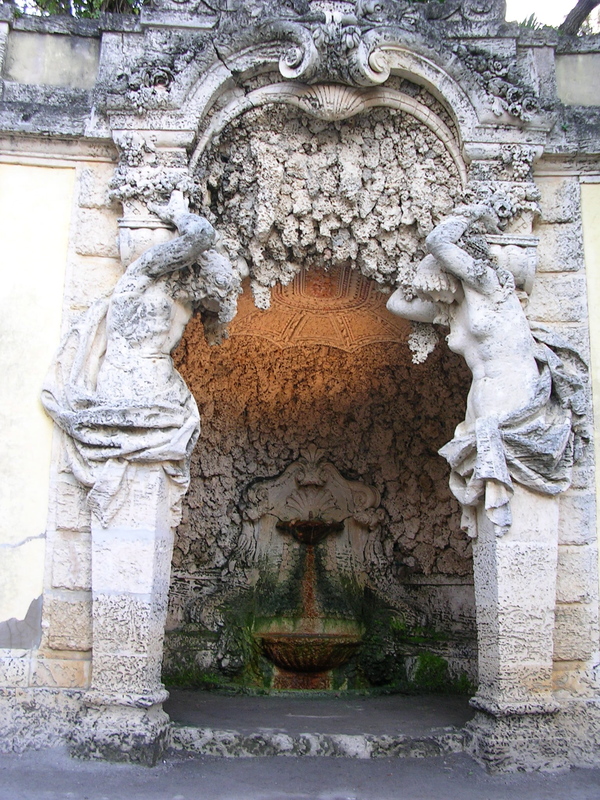 The gardens feature life-size Greco-Roman statuary and even a clamshell grotto. Then there is the stone barge, my favorite place. Created by sculptor Alexander Stirling Calder, this most ingenious breakwater feature resembles a weathered, semi-submerged barge with elaborate sculptures made to look timeworn thanks to the use of special molds. 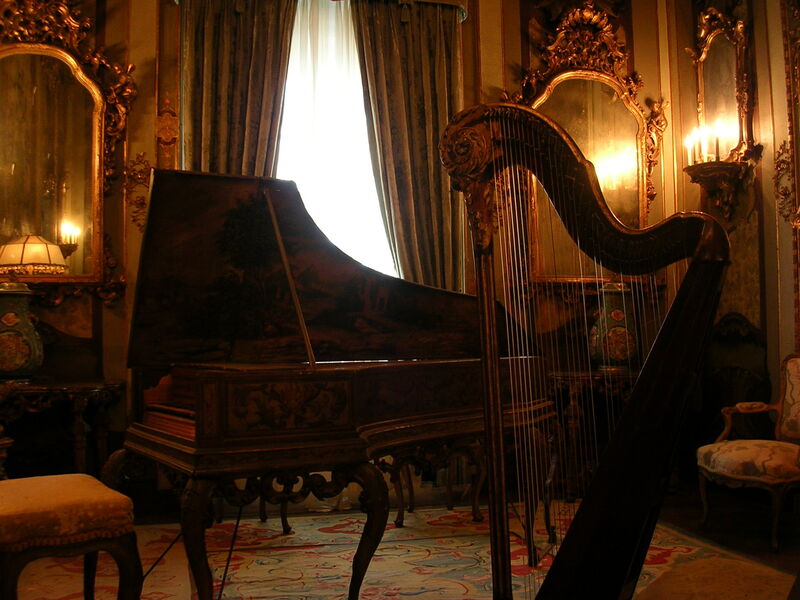 Aside from its practical function of protecting the villa against waves, the barge also provided a setting for lavish parties to where Deering would transport his guests from the shore via a gondola. 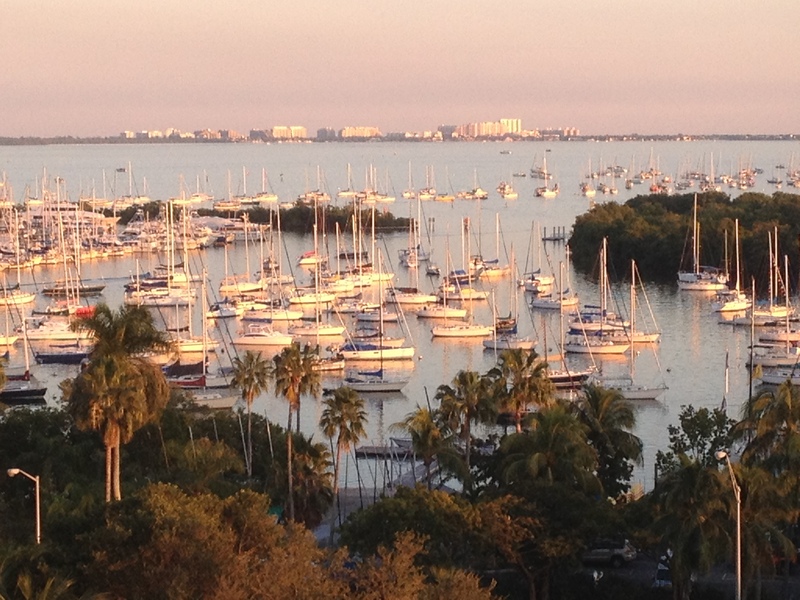 You never feel alone in Coconut Grove. With almost every step, especially in the hammock, you can hear the rustling of leaves or see a small shape darting across your way. 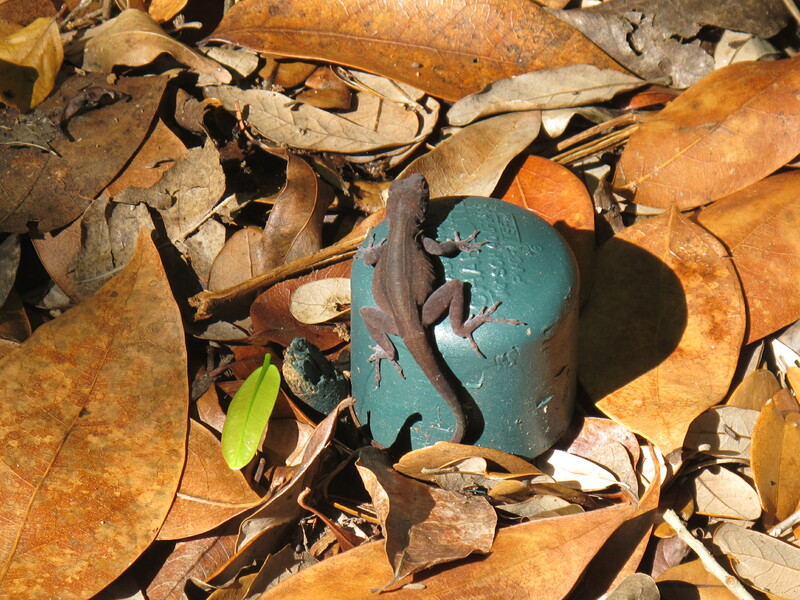 I have no idea what those tiny lizards are called but they are really cute and occasionally pose for photos if you’re quick enough with the camera. 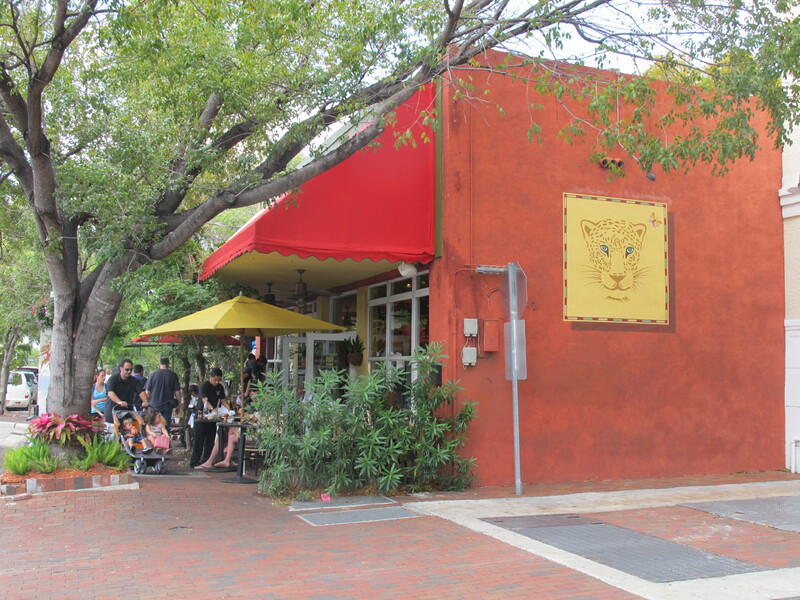 Finally, after a day of exploring in Coconut Grove there is nothing better than a fresh serving of ceviche – and no better place to enjoy it than Jaguar Ceviche Spoon Bar & Latam Grill (3067 Grand Ave). 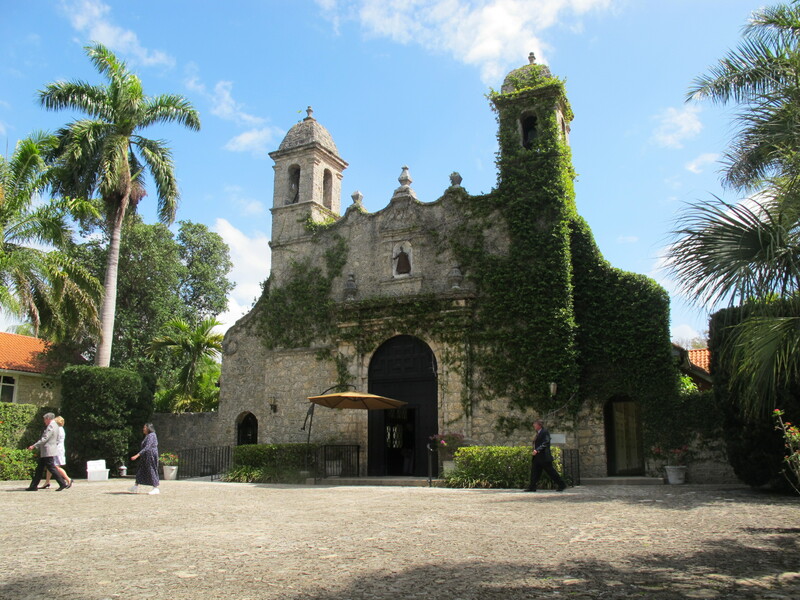 If you’re not into historic buildings, it’s worth visiting Coconut Grove just for that ¡Buen Provecho! 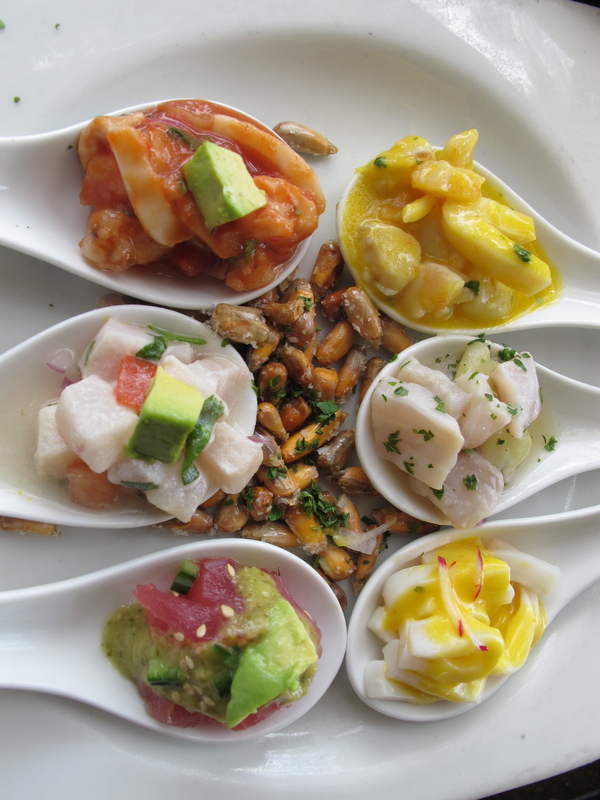 Ceviche spoon sampler – yum! 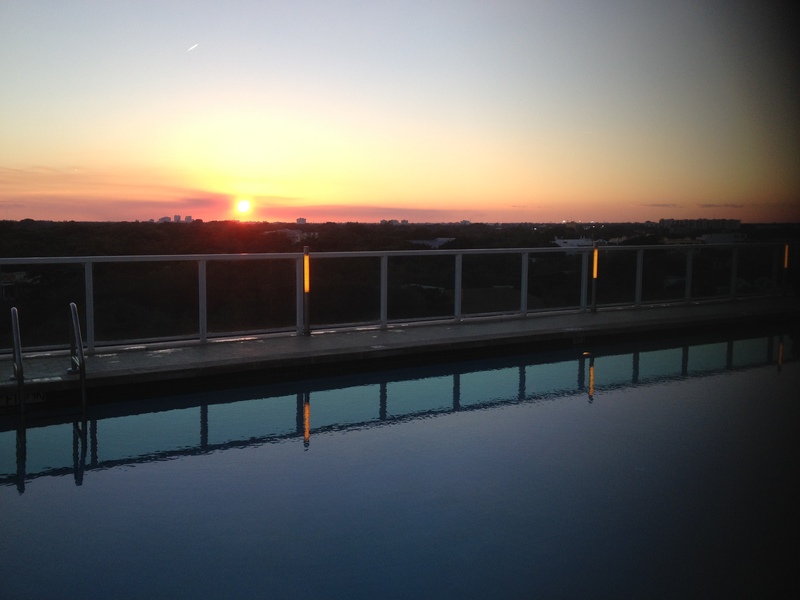 And this is a perfect hotel to enjoy your restful sleep after a busy day: Sonesta Coconut Grove. The hotel is just a block away from the ocean (and from Jaguar) and offers unforgettable sunset views from its open-air pool.